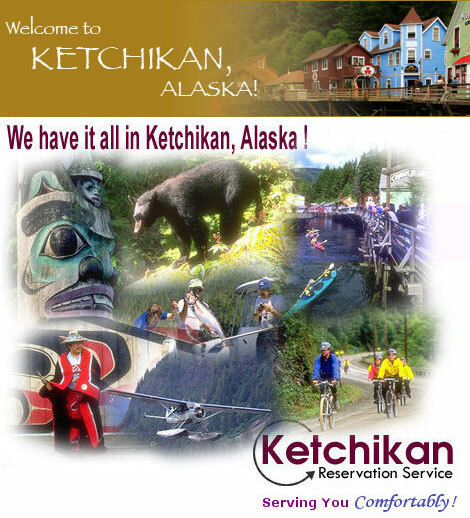 KETCHIKAN RESERVATION SERVICE offers a variety of bed & breakfast apartments and vacation rentals in Ketchikan, Alaska. All of our properties have outfitted kitchens or kitchenettes. Our friendly hosts strive to provide comfortable accommodations to make you feel welcome. Sportfishing and car rentals can also be arranged. Visit our web page for detailed information, online availability, photos, and pricing.